This morning, four Lightning jets of 617 Squadron departed MCAS Beaufort SC. 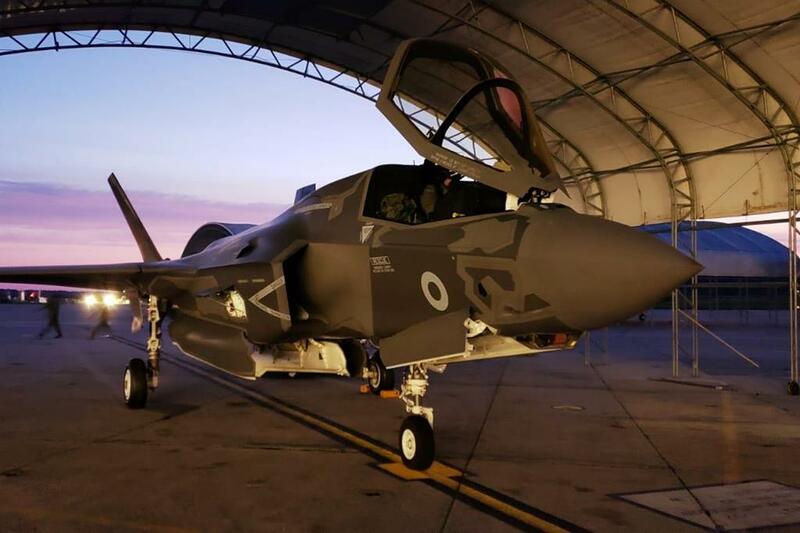 They will arrive at RAF Marham this evening, the new home of the Lightning Force. 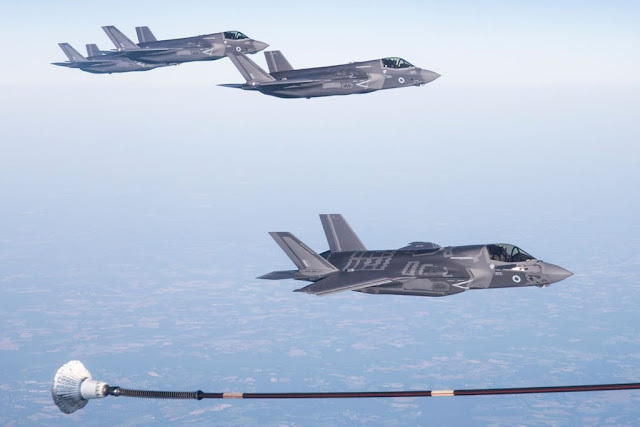 Four UK's F-35 Lightning jets of 617 Squadron are en route to RAF Marham. 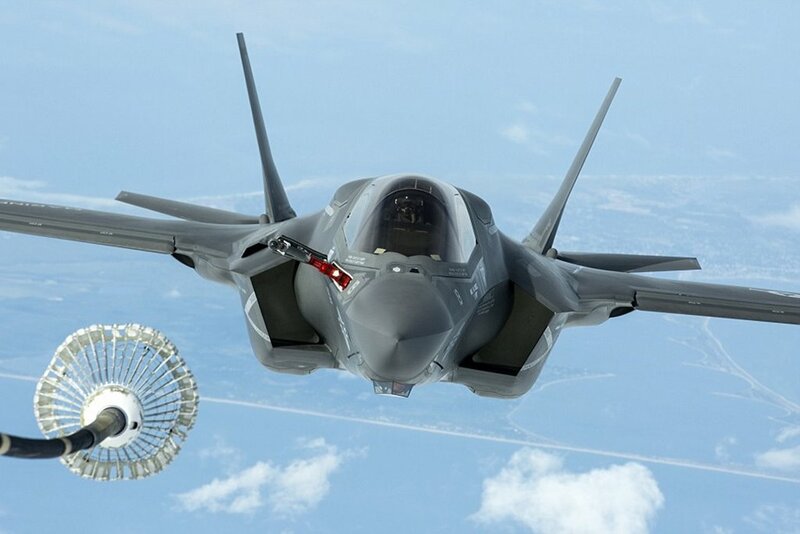 June 6, 2018 - The first UK's F-35 Lightning aircraft are due to arrive at their new home at RAF Marham today. The game-changing aircraft, which will be operated by both the Royal Air Force and Royal Navy, will be based there. The aircraft will then be deployed from RAF Marham to deployed operating bases by the end of the year. In due course they will also deploy to the Royal Navy’s Queen Elizabeth Class aircraft carriers. This morning, four Lightning jets of 617 Squadron departed MCAS Beaufort SC and they are currently refuelling off the coast of Canada on their way to the UK and their new home of RAF Marham. The secondary runway of RAF Marham was resurfaced to host the fifth gen fighter and further works are in progress. Three vertical landing pads to enable the F-35s to use their vertical landing capability and a squadron headquarters for 617 Squadron (The Dambusters) will be constructed soon. Other work includes a high voltage power upgrade, refurbishment of 12 Hardened Aircraft Shelters and a small gym and canteen as well as a hangar, offices and technical facilities for 207 Squadron. AF Marham is currently the home of the RAF’s Tornado fleet, which will begin operating from the runway immediately before being joined by the F-35s in due course. With the aircraft currently on operations it was important that this activity could be maintained without restriction. During the work, flying was only halted for three weeks while construction teams resurfaced an intersection between the main runway and the secondary runway. This was completed a day early despite poor weather.